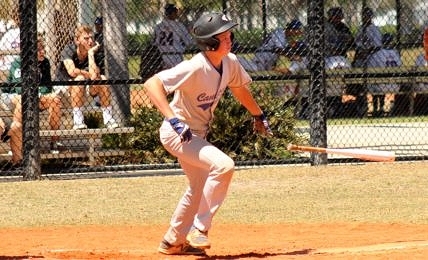 Boca Raton drew final blood with three runs in the top of the eighth inning to prevail with a 12-10 win over Somerset Canyons, in a wild game at Pompano Municipal Park in the Hall of Fame Tournament. With runs on the scoreboard in nearly every frame, the score changed hands back and forth as both sides refused to give any ground in the battle of attrition. A wild pitch brought in the go-ahead run, and Cole Spicer and Nic Johnson drove in runs the hard way after being hit by a pitch with the bases loaded. Armed with the lead for the second time on the day, the Bobcats (4-7) held on this time. Somerset Canyons managed a run, as Joe Phan was hit by a pitch, Justin Anglin singled, Chase Kyzar was also hit by a pitch that loaded the bases and Jake Molloy delivered a sac-fly RBI to left field. But a fly ball to center ended the rally bid for the Cougars (7-6), who led three times but were unable to maintain those leads. The two clubs combined for 19 total hits to go along with the 22 runs scored. Bryan Ariza had a nice day hitting out of the three-hole for Somerset Canyons, going 2-for-5 with an RBI and two runs. Ariza helped get things going with a double in the bottom of the first that had two runners in scoring position, after Phan walked ahead of him. An error allowed both runners to score, and Anglin later came in on a double steal play. Cole Spicer also delivered a nice offensive day for Boca, and he got it started by driving in Shane McCormack in the second. McCormack led off with a double and moved to third on a ground out from Cade Tierney, before Spicer pushed him in and reached on an error. Jordan Gaynor then doubled to send Spicer across the plate for the first of his two runs on the day, as Spicer also went 2-for-3 with three RBIs. 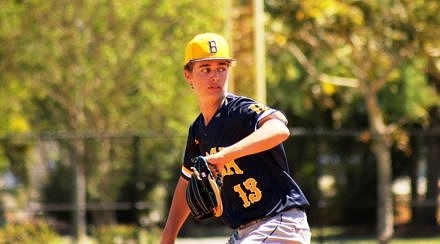 Boca’s Chris Fernandez led all batters with three hits, going 3-for-5 with three RBIs and a run. Ryan Recio was 2-for-4 with three runs and two RBIs. Tyler Ziemak led Somerset Canyons by going 2-for-4 with two RBIs and a run, and Skye LoMonaco had a triple, an RBI and a run.